Here we are again, another year hiatus and we are back posting again, I’ll address the break later but right now lets talk about standard. There is an interesting meta right now that is about to get changed with M19 coming out in 3 weeks, and rotation coming around in a few months. But lets talk about today, June 22nd 2018’s meta. Mountains are still the best: Three words have haunted every standard players dreams, Hazoret, the Fervent. 4 mana 5/4 indestructible, haste, that just so happens to have an empty hand clause. OH WAIT red decks always have an empty hand! Even if you do have a few extra cards in your hand, Hazoret turns those extra cards in your hands into 3 mana shocks to the dome. Seems decent. Ever since Amonkhet packs hit store shelves, Hazoret has been a monster in standard as well as his best friend’s a phoenix who will never truly be dead, a goblin who spins chains, a pirate and her pet monkey, a dragon who breathes glory and even Chandra, Chandra’s mother; Pia, and their flying VW microbus, Heart of Kiran. (Breather) Combine that with a package of burn spells and you have yourself 7 or the top 8 Pro tour decks. Blue White control lists are playing a pretty loud second chair to red decks. After the second board wipe, red decks have a really hard time reestablishing power and the control deck can start to develop their board. Torrential Gearhulk and Teferi close out the games pretty quickly once they have established presence and if left unanswered they establish very quickly. If a U/W deck can make it to 5 lands above 12 life, the game is probably already decided. Scarab god decks are still around in U/B and Esper lists, but its slow speed can be quickly outmatched. Fatal push, Cast down, and essence scatter help sure up the early game while the Scarab god is used for a overwhelming finish. Scarab god was running the tables for most of Ixilan and RIX standard, and still lingers on the outside of the meta. Cards like Ravenous Chupecabra and Glint sleeve siphoner still see a fair amount of play, while Gifted Aetherborn and Hostage taker both have faded away from the format. Two of Dominaria’s mythic white cards have yet to find a solid home but have seen some play in sideboards and in fringe lists. History of Benalia and Lyra Dawnbringer both in theory beat the red decks and give some advantage against the other decks in the format. The problem has been finding a supporting cast to both of these. History of Benalia has the white and Black knights but that’s about it, any other token generation/ go wide strategy gets hosed by Chainwhirler and Fumigate. Lyra gets burnt out by Fight with Fire (a card commonly found in red sideboards) and her anthem effect doesn’t do a whole lot as the only angels worth playing right now are Angel of Sanctions and Angel of Invention who both cost 5. 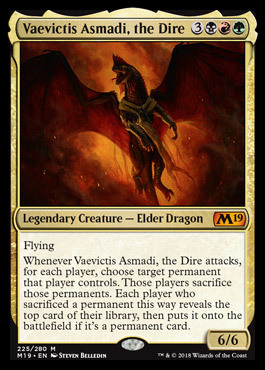 With the new Resplendent angel coming out in M19 Lyra may be seeing some more play in the near future. God Pharaoh’s gift has made a return, with so much of the meta dedicated to defeating the red and white blue decks, graveyard hate has made its way out of sideboards and fewer scarab gods snatching creatures before combat. GPG also doesn’t really care if you whirl away their champion of wits as the deck plays out of the graveyard most of the time anyway. GPG placed 2nd at a recent SCG and has been slowly creeping back into existence. Though red decks are often at the top, this isn’t Siege rhino 2. Blue, white, black (Or any combination of the three) Control, Black green snake, even God Pharaohs gift is back. There are options, its not play Siege rhino or die. Its not play Affinity or Die. Its play the meta or play against the meta and that’s how standard should be. And to all those still picketing for Goblin chainwhirler’s ban I say this; If M19 doesn’t beat Hazoret, Rotation will. TL;DR. Red is on top but there are other answers, standard is in an okay spot right now and the meta will change eventually. Here are my 5 predictions about the next set…. Check this article in two months and laugh at how wrong I got all these. 1: Bone Dragon will revitalize scarab god lists for one last scarab god deck push. 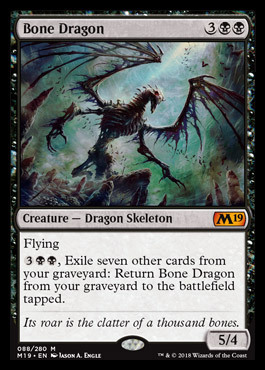 Scarab god decks folded to flyers as there has been no real flying creature that is worthy of reanimation, so our friend bone dragon here will fill that hole in U/B decks. Bone dragon munches up all those little red creatures, beats Glorybringer’s exert (thats right, Glorybringer says deal 4 to target non-dragon), it cleans out all the lands you mill into your graveyard off Liliana. I could go on, but what I’m saying is that this is the missing piece to bring U/B Scarab god lists to the top. 2: Nicol Bolas will NOT be on top. 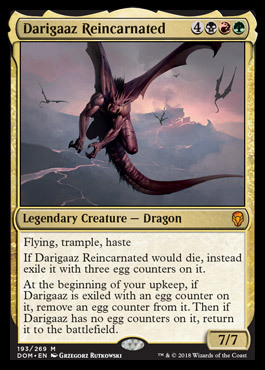 When bolas is $50 and I am scrounging to get my 4th you can all laugh at this. 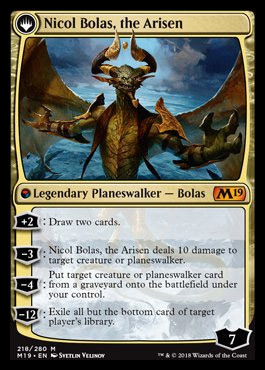 Am I saying there won’t be a Grixsis Bolas list? No, I’ll force a Grixsis bolas list if I have too. 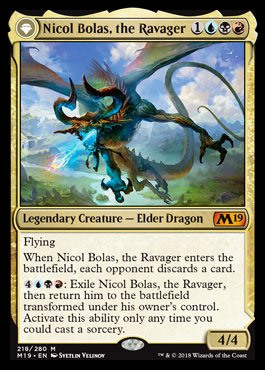 But I don’t think that Nicol Bolas is good enough to change the format in his favor. I think he’s a great card, I think he is incredibly strong, But I don’t think that Grixsis is stronger then Blue white control lists, or the Esper control lists that just got one of the best finishers in Chromium. 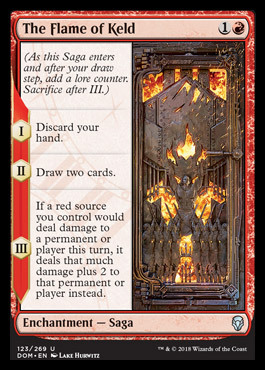 Grixsis midrange is probably what this card will fit into and I’m just not convinced it will be the next great thing. Once we are Post-Rotation lets talk. 3. Mono green Stompy will see more play, but will leave Gigantosaurus behind. Vivian Reid will shine. 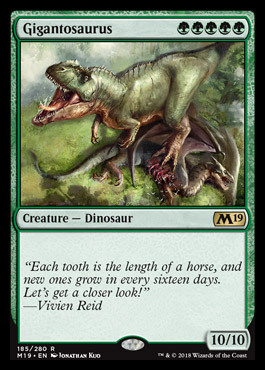 When I saw Gigantosaurus for the first time, my first thoughts were “Wow, Steel Leaf Stompy just got a new piece” then after some thought, a 10/10 with no abilities is not as good as a 5 mana planeswalker who lets you draw some cards. The Steel Leaf Stompy deck has plenty of outright power in it, so adding a 10/10, while cool, doesn’t change the dynamics of the deck. Adding a card like Vivan gives this deck a decent draw engine, and a decent removal effect. 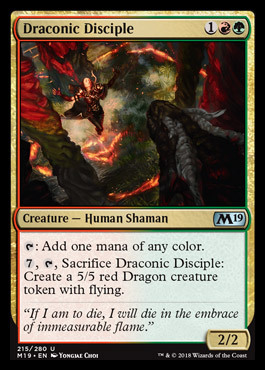 Being able to naturalize a Cast out on Ghalta or snipe down a Glorybringer who has just torched one of your Steel Leaf Champions is an effect that mono green decks haven’t had. Adding cards like Vine mare, Goreclaw, and Runic Armasaur to the mix will also give this deck a much needed push in the right direction. 4: Guttersnipe will make Mono-red Keld a Teir 1 deck. Guttersnipe will add a ton of damage output to the already fast Mono-Red Flames of Keld lists. This off branch of the classic Hazorets and Glorybringers red deck that plays mostly small creatures and fast burn spells already has a large package of spells that both Keld and Guttersnipe check off of. 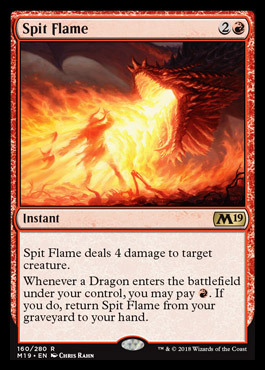 Flames of Keld see’s guttersnipes damage as well as the burn spells damage making a lightning strike on a Keld turn deal 9 damage for 2 mana, turn the Guttersnipe sideways and that 9 turns into 13. 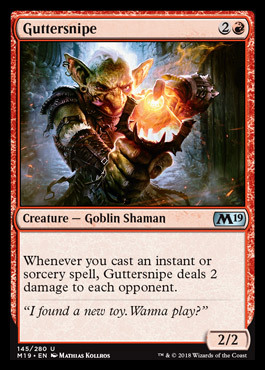 I digress this is magical Christmas land but what I am saying is that guttersnipe will act as another way to get more damage through off the burn spells, and I think that is what the “little red” decks need. 5 (and this one is a bold one): JUND. DRAGONS. 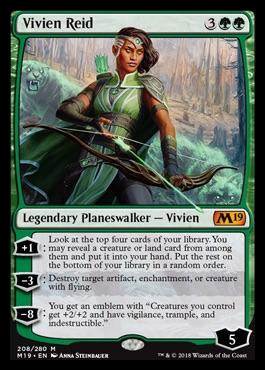 Now I know this is a lot, everything costs a ton and this is probably going to be a lot like Naya Dinosaur lists of old, cool concept, if you get there it’s awesome but the problem is getting there. 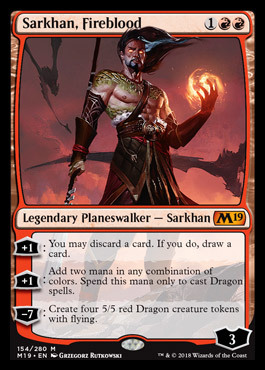 But if there is any time to do Jund Dragons now is the time. 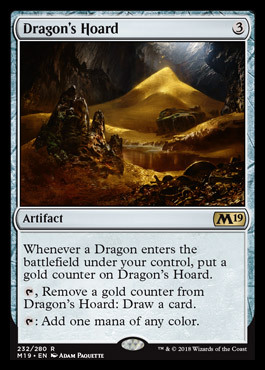 There is a fair number of strong dragons, there are cards that ramp into said dragons, there are dragon based removal spells. Sooo…. Maybe? So obliviously I have not been on top of posting regularly like I have said I wanted to in the past. Struggling to take pride in my work is one of the biggest reasons why I don’t post as much as I want to. I would like to commit to at least one article a month for the next 12 months, if more come around then so be it but at least one a month for the next year is the goal I want to set myself too. So here’s to month 1. Thanks for reading and I’ll see you at the next event!